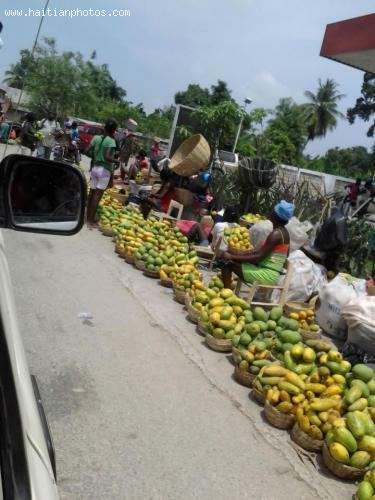 Haiti has some of the best Mangoes in the world. One thing you can be sure of is that Haitian mango is a Certified Organic product. some of the most popular mangoes in the island: Francine mango, the Madame Francis mango. Mango fruit originated in Southeast Asia. Over the years, this juicy tropical treat has spread to many parts of the tropical and sub-tropical world, where the climate allows the mango to grow best. In Haiti, mango is one of our leading export products, with over 2.5 million cases of Mango each year, with the USA getting most of them. The Haitian mangoes have just a six-to-eight week season, so you have to watch carefully for them in late spring. It is an excellent source of vitamins A and C.